The City Attorney represents the City in all matters affecting the City’s interest and appears on behalf of the City before any court, tribunal, commission or board. The City Attorney also prosecutes and defends all actions and proceedings brought for or against the City. Additionally, the City Attorney is responsible for providing legal opinions, preparing ordinances, and any other legal services required or requested in the administration of the governmental functions of the City. Zachary has a Bachelor of Science degree in Finance from Iowa State University and a Juris Doctorate from Drake University Law School. While attending law school, Zachary obtained his Business Law Certificate, was the Vice President of the Drake University Law School Student Bar Association, a recipient of the Drake University Law School Student Bar Association President’s Student Service Award, and was an Associate of the Blackstone American Inn of Court. He is also a member of the Hamilton County Bar Association and the Iowa State Bar Association. 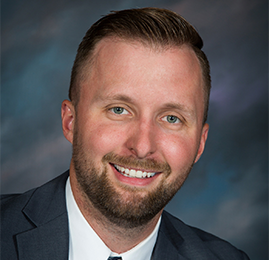 Zachary currently resides in Webster City, Iowa, where he is an Attorney with the Groves & Chizek Law Office. In his free time, he enjoys spending time with his wife, Kendra, and their two small children, biking the many great trails located in Hamilton County and working in his yard.